— The Wall Street Journal, 19 January 1995. The 7-inch milled shoulder rumble strip is the first shoulder rumble strip designed to address the problem of the fatigued truck driver. 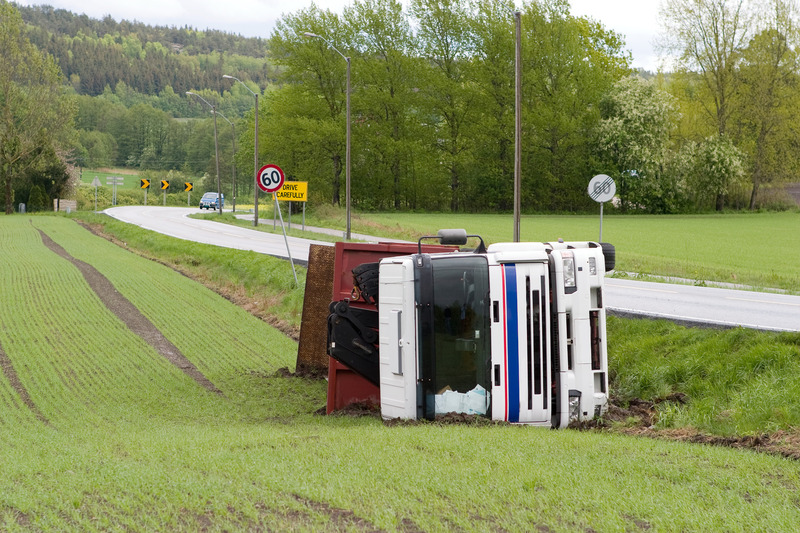 In January 1995, a National Transportation Safety Board study revealed that fatigue contributed to the vast majority of truck accidents in the United States. The PA Turnpike Commission arrived at the 7-inch width of the rumble strips based, in part, on the need to keep drivers of trucks and buses alert, along with the non-commercial driver. The width of the cut (measured in the direction of travel) determines performance. To generate an effective amount of noise and vibration, rumble strips must be wide enough to allow tires to drop the full depth of the pattern. Rumble strips that may seem wide enough for passenger cars often have little or no effect on long radius tires found on trucks and buses. Long radius truck tires cannot fall inside the narrow 1.5-inch rumble strip – a common width for rumble strips that are indented or rolled into the asphalt at the time of resurfacing. Because they eliminate vertical wheel movement, these rumble strips have no effect on commercial vehicles. The milled 7-inch rumble strip is wide enough for any truck tire to drop the full depth of the cut – 26 times more vertical drop than narrow, rolled-in rumble strips will allow.